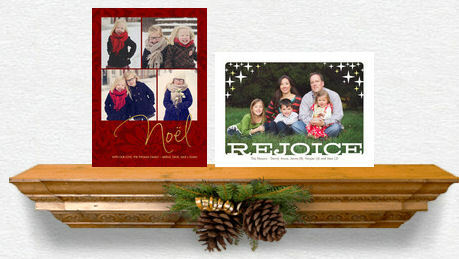 Personalize & Send your Holiday Cards hassle-free with Cardstore! Over the past 20 years or so we’ve all witnessed the growth and expansion of the Internet and email in our lives. Especially when it comes to communication between friends and family. Think about this when is the last time your wrote and sent a letter through snail mail to one of your friends or family members. Even when it comes to birthday and greeting cards many people resort to sending e-cards to their loved ones instead of using standard mail. We still see our share of Holiday and New Years cards every year but aside from that mostly everything comes through email. I would say for me it takes less time and effort to send an e-card to someone rather than having to go to the card store, pick out a card, get stamps, and drop it in a mailbox. However getting an e-card is just not the same as getting a physical card that comes to your mailbox. But with everyone so busy these days I guess it is easier to go with the path of least resistance. For me that was my way of thinking up until last year when I was introduced to a company called Cardstore.com. They are an online retailer that allows you to create amazing custom greeting cards to send out to your loved ones. Best thing about them is they will ship the cards directly to your recipients. You don’t have to go out and buy stamps, put the cards in envelopes, address them and mail them out. All you have to do is go online and create some easy to make cards for all occasions. You can upload family photos or any other pics into the cards. You can put in your own custom messages and designs as well. Then you add the recipients addresses to the system and choose the mailing date and voila. It’s that easy. What’s great is they will store the names and addresses of your recipients for further use the following year. Last year we used them for our holiday/New Years greeting cards. We were able to create these awesome looking cards with pictures of our kids and us and send them out to all of our friends and family. The responses we received from everyone one was great. Of course they were like, “Where did you get these cards?” They were that impressed. When I told them all how easy it was they were so excited. One of my friends was always complaining about what a pain it was to get the family together every year for their holiday photo shoot. And how much easier on her this would be. My husband wasn’t just satisfied with sending out the holiday cards. He found Cardstore.com so easy that he designed and sent out cards for Thanksgiving Day and Ground Hog Day. Last year around December I got an offer from Cardstore for 20 Free custom greeting cards. 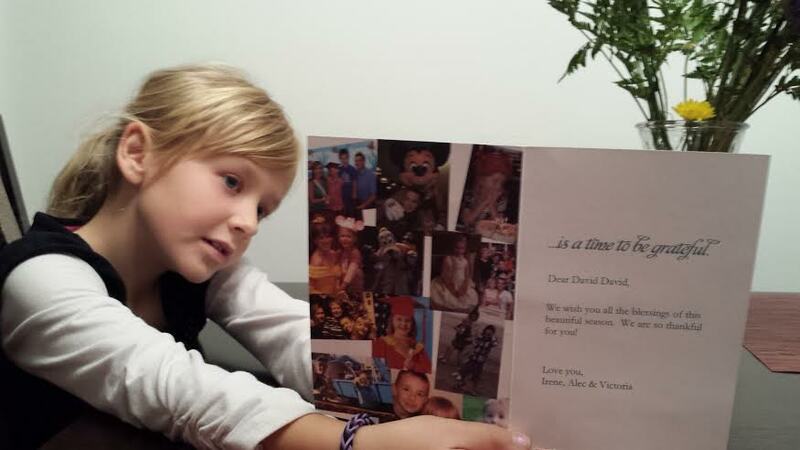 It was awesome as we were able to design and send the Holiday cards to our family. We had few free cards left and my husband thought of sending the greeting cards to his high school friends but with the theme “Happy Groundhog day!” He was also able to schedule to send them 2 months ahead. The one for Groundhog Day was hilarious and our friends were really surprised by that one. Some of them were probably thinking that my husband has way too much time on his hands. After they found out how he made the cards and how easy it was using Cardstore.com, everyone was laughing. I wonder what crazy and wacky cards he will send out this year. Maybe a happy April Fools Day or a First Day of Winter card. I guess it doesn’t matter which day he chooses as long as he enjoys himself and the people receiving the cards get a laugh. My husband’s birthday is November 23 and we usually celebrate his birthday with our Thanksgiving gathering and dinner at my mother-in law house. This year I decided to put together a custom card for him wishing him Happy Thanksgiving and Happy Birthday and how thankful I am I for him. On the front I added the photo of our kids. On the inside I created a collage of multiple photos of our family. 1. Select the card that you want to customize. Begin by adding photo to the front of the card. You can either upload from your PC or from your Facebook or Instagram accounts. 2. Select the “Inside” card and choose options for photo layout on the left side and text on the right side. You can upload photos the same way (see step 1) and for the text you will just add your personal message by choosing from variety of fonts and colors. Optional – you can also add a photo and message on the back of the card at no extra cost. 3. Review, Approve and set up your card for mailing. There are 2 options to choose from. Cardstore will mail the card to you for free or mail to the recipient for extra cost of US postage. You can also send right away or schedule for mailing on a specific date. Then you finally click “Add to cart” and this will bring you to a checkout screen. At this point you will be prompted to set up an account. Over all I think it is great the Cardstore.com is making it easier to send cards through the mail. 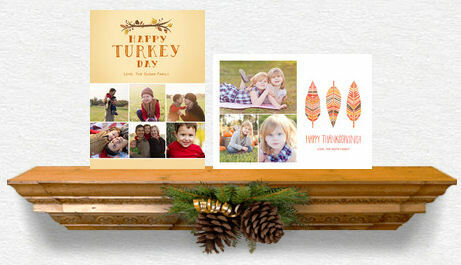 Go to Cardstore to create your own personalized Greeting card to take advantage of this offer before 11/26 and stay tuned for their emails as they send great promotional offers and freebies via email. This is how I got my offer for 20 free cards mentioned above.